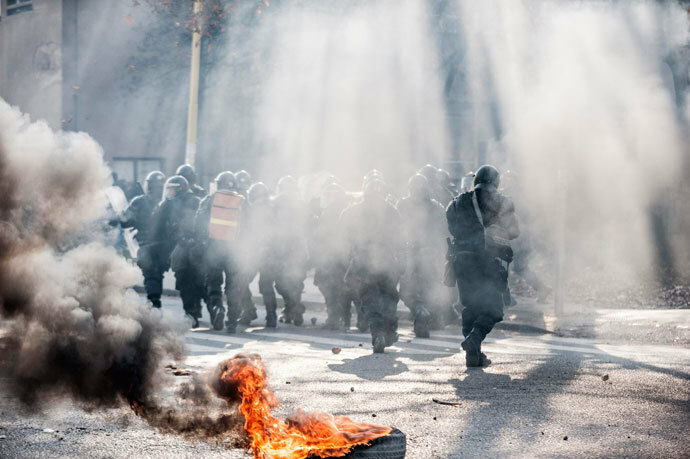 Anti-government demonstrations in Tuzla, Bosnia resulted in over 130 people – including 104 police officers – reporting injuries as protests over unemployment and political intransigence entered their second day across the country. Tuzla police fired tear gas at thousands of demonstrators throwing stones, flares, and eggs at a local government building. The discontent in Tuzla, feeling the impact of diminished industry in recent years, highlights widespread frustration with a stalled economy in Bosnia, which has the highest unemployment rate – at least 27.5 percent – of the Balkan states. Police finally dispersed the crowd after protesters began smashing shop windows and setting bins on fire, according to a Tuzla police spokesperson, Reuters reported. 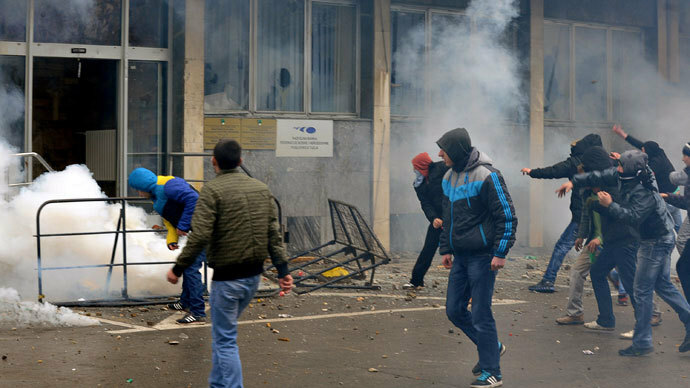 Tuzla’s emergency service said it treated 104 police officers and 30 civilians for injuries. Solidarity protests in support of the Tuzla demonstrations occurred in the towns of Zenica, Bihac, Mostar, and Bosnia’s capital of Sarajevo, where protesters blocked traffic in the city center. Four police agents were taken to the hospital, according to officials. The clashes prompted the nation’s prime minister to hold an emergency meeting with regional security ministers and prosecutors. “We put on one side the workers who were left without basic rights, such as pensions and health benefits…and on the other side all hooligans who used this situation to create chaos,” prime minister of the Federation of Bosnia and Herzegovina, Nermin Nikšić, said following the meeting. 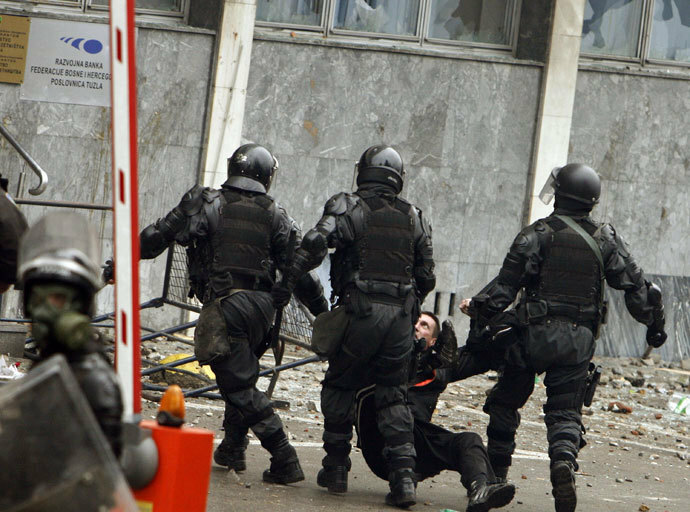 Nikšić added that protesters involved in violent action will feel the force of the law. “We will not come to the solution by destroying property, damaging vehicles and windows and fighting the police,” Nikšić said. The demonstrators initially consisted of workers laid off when state-owned companies that were sold to private entities ended up folding. Workers were then joined by thousands of unemployed in a country still combating political inertia, corruption, and stalled economic development following the early 1990s war in the Balkans. Causevic told Bosnian state TV that the “rip-off privatization” had occurred before he took office. He called the factory workers’ demands legitimate, Deutsche Welle reported. “It was our government that sold state assets for peanuts and left the people without pensions, jobs or health insurance,” Hana Obradovic, an unemployed graduate from Sarajevo, told Reuters. Protests are expected to continue on Friday, leading authorities in Tuzla to order schools to cancel classes. Sarajevo and other cities are also planning Friday demonstrations. According to Reuters, law enforcement has released 27 Tuzla protesters arrested during Wednesday protests.